A few weeks ago I was contacted by Browns family Jewellers to ask if I would like to receive a watch. Obviously I said yes as I know they stock such beautiful pieces! 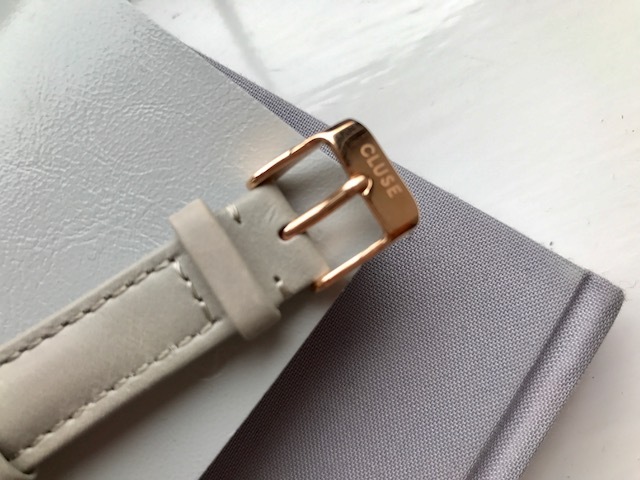 I was so excited to browse their collection and the brand that caught my eye immediately was Cluse. 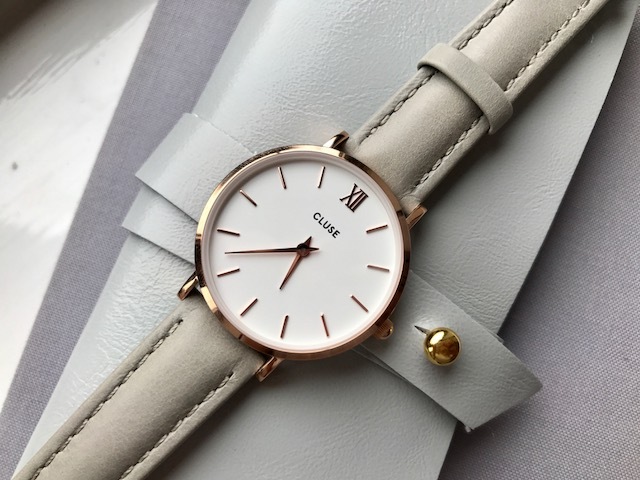 I have seen a few Cluse watches on Instagram and I thought they where so elegant and pretty I knew that I would love to feature one on my blog. I decided to choose this one as I loved the grey leather strap paired with the gold detailing. I wear a lot of grey colours so I thought it would match well and I have my Omega silver watch so I thought it would be nice to choose a different metal to pair with other pieces of jewellery. They also have this watch in Black & Gold and Pink & Gold if your not as in to grey as me! 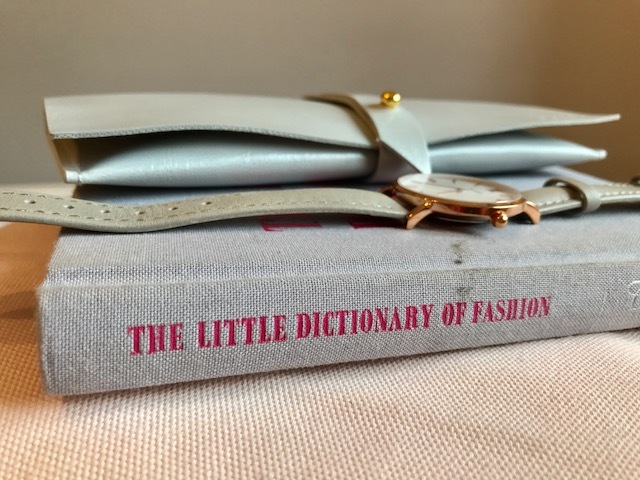 I really liked the fact that this watch didn't come in a traditional style box like other watches, it came in this beautiful flux leather casing, perfect for packing in a suitcase or weekend bag! Also I wanted to note that the strap is really comfy and sits really well unlike other watches that can be a bit stiff at first. 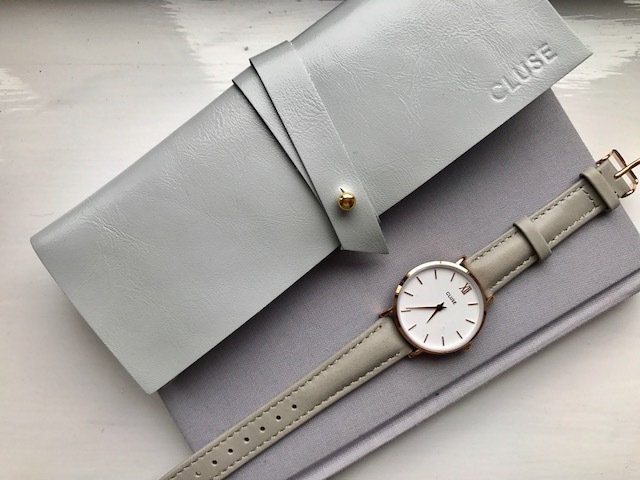 I have seen from Instagram that Cluse are actually launching a jewellery range so I'm excited to see what they have to offer! I hope you this inspires you to buy a pretty new watch too!